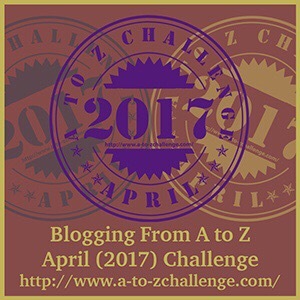 Today starts the April 2017 AtoZ Blog Challenge. 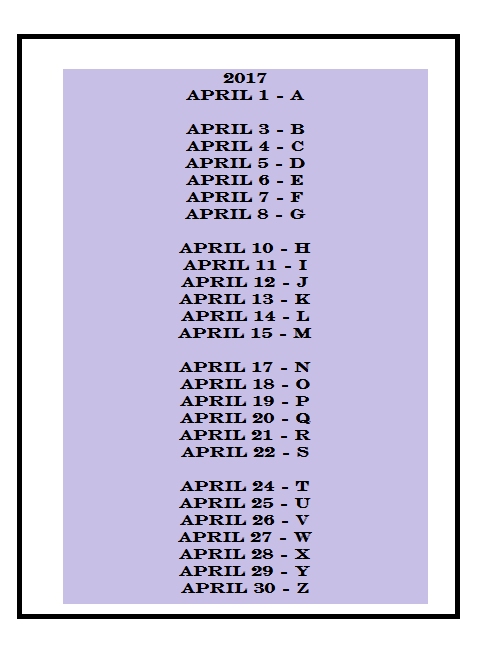 What is the AtoZ Blog Challenge? You can participate by reading the articles that are posted each day. What good is an article posted that is never read? Those bloggers participating in this Challenge will be posting links to their articles via the official A to Z Challenge blog, the AtoZ Challenge Simulcast Blog (for WordPress bloggers), or the AtoZ Blog Challenge Facebook. Bloggers can also use Twitter and Instagram to post links with the hashtag #AtoZBlogChallenge. There are also some blogs that do a good job of consolidating the links that are shared via Twitter for example, The #AtoZChallange Daily. I participated in this Challange for several years and it helped me when I first started blogging. This Challenge is an excellent and exciting way to gather new readers, focus writing and showcase or expand the talent of writers and bloggers. If you have not read these previous AtoZ Challenge Blog posts you can find them here. Although I am not participating in this year’s Challenge, I still want to support those that are. Therefore, good luck to those that are participating and I look forward to reading and sharing those that peek my interest. So are you participating in the Challenge?